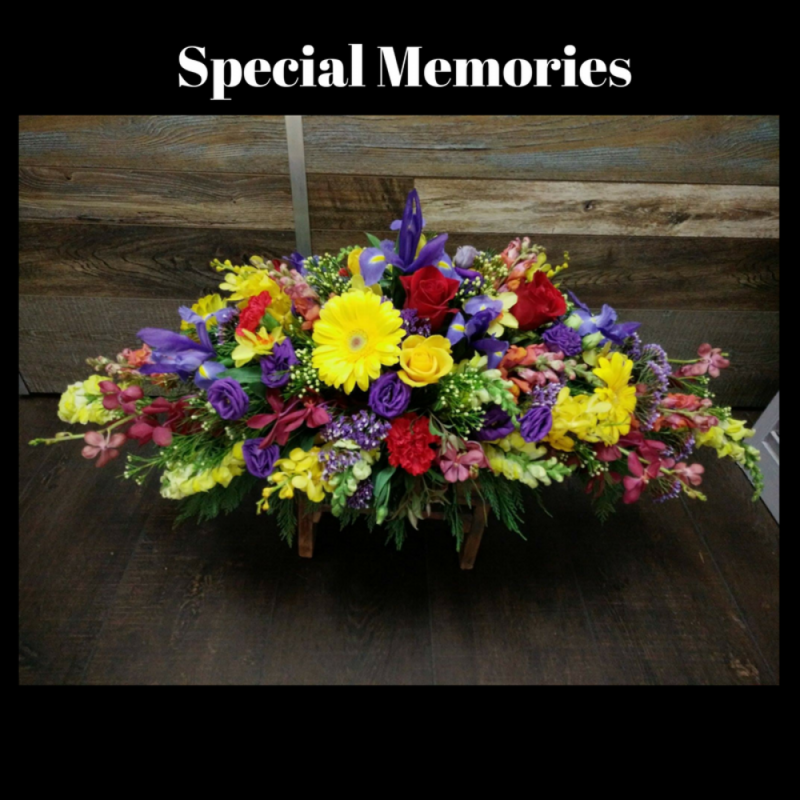 Mixed double ended spray to include roses, iris, gerberas, singapore orchids, and chrysanthemum. Flowers may be substituted with similar if they are unavailable or out of season. Price includes Local delivery, please check our delivery page for all our area's.